The Pittsburgh Steelers are right up against a projected $180 million 2018 NFL unadjusted salary cap figure. Just about even with that figure when considering the Rule of 51. This is before they tender any restricted free agents, among them Chris Boswell, Jordan Berry, Eli Rogers, Anthony Chickillo, Roosevelt Nix, Fitzgerald Toussaint and Greg Ducre. They also have yet to sign a new deal with BJ Finney. However, Finney is an Exclusive Rights Free Agent, which means that he cannot negotiate with other teams unless the Steelers do not offer him a qualifying contract by March 14th. That is highly unlikely. The Steelers are also without any salary cap space to negotiate with any of their own unrestricted free agents. 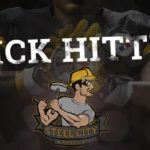 Those include Le’Veon Bell, Chris Hubbard, Arthur Moats, Daniel McCullers, Sean Spence, Stevan Ridley and Justin Hunter. It is expected that the Steelers will try to keep all of their UFAs, aside from McCullers and Hubbard. They are not expected to be able to afford to compete with the offers Hubbard will receive on the free agent market. He is expected to be a starter somewhere next season at right tackle. The Steelers have used him at swing tackle. The Steelers are expected to move on from McCullers. Placing any free agency tag (franchise or transition) on Bell requires a 20% increase over his 2017 salary. That equates to a $14.544 million salary and cap hit. The Steelers will need to create plenty of room to either tag Bell or fit the first-year cap number of a new deal under the projected cap. We gave our opinion on the direction we’d like to see this go if the Steelers cannot come to a deal with Bell by February 20th last week. The Steelers need cap space to operate this year in free agency. Fortunately, the Steelers have contracts in place that can be restructured or extended dramatically reducing cap hits and creating a lot of room to negotiate with their own free agents and those from other teams. This starts with players who are due a combined $27 million in roster bonuses. Most of those are due the 5th day of the league year. Those bonuses can easily be converted to signing bonuses, along with a large part of a player’s 2018 salary, to push a large portion of those total dollars into subsequent contract years. Ben Roethlisberger has a $12 million base salary in 2018 along with a $5 million roster bonus due on March 19th. His compensation counts $23.2 million against the 2018 salary cap when proration for bonuses paid in previous years is added. A simple restructure would cut his cap hit by as much as $7.95 million for 2018. The Steelers can accomplish this by reducing his 2018 salary to the veteran minimum and converting the remaining $15.895 million of his compensation into a signing bonus. Then pushing half that amount into the 2019 league year for cap purposes. He only has two years remaining on his current deal. Repeating that process with Antonio Brown could create as much as $9.72 million in space. For Stephon Tuitt, it could create as much as $8.62 million. For Joe Haden, it could create as much as $4.5 million. For David DeCastro, it could create as much as $5 million. 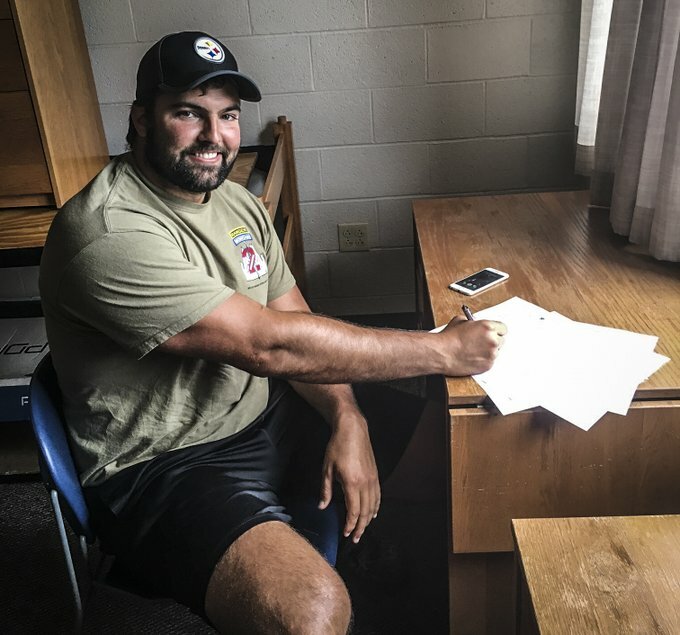 For Alejandro Villanueva, $3.47 million. All told, the Steelers could create over $38 million in 2018 cap space through this process. The trouble is, when a team restructures a deal they are pushing all of that cap savings into future years for cap purposes. If they don’t count those dollars now, they have to later. This is why we have seen players in their last contract year with ridiculously bloated cap numbers. Lawrence Timmons and his $15 million plus 2016 cap hit immediately comes to mind. It can also lead to situations where a player is released and counts on the cap for a couple of years after the team has paid him every cent that they ever will, as with LaMarr Woodley and Willie Colon when they left the Steelers. It should be noted that the organization is expected to try to negotiate extensions for Ben Roethlisberger’s and Joe Haden’s contracts, rather than the simple restructures that I have described. They both have only two years remaining on their current deals and a simple restructure of either contract would create ridiculously large 2019 cap hits for both players. The team can still push 2018 dollars into future years, as described above, through a contract extension. I think you can see where I’m going with all of this. The Steelers can create as much space as they need to. It just comes with the caveat that they eventually have to account for all of those dollars in the future. I don’t expect them to create any more space than they will need. They won’t restructure contracts just for the sake of creating a maximum amount of space. Kicking the can down the road leads to that can continuing to get bigger and more difficult to push down the road each year. The Steelers have a limited window with which to win a championship, but they won’t mortgage more of their future than they absolutely have to in order to keep it open.